I started my peppers at the same as the tomatoes. Some of the peppers did not come up until 2 weeks later than the tomatoes. Why is this happening? 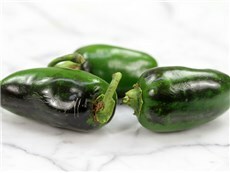 Peppers are related to tomatoes, but have different requirements for germination. 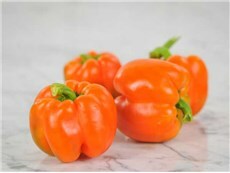 Sweet pepper requires a germination temperature of 75° – 80° (F). The seed trays benefit from being covered with plastic domes or plastic wrap to retain humidity until germination. A minimum of 6 hours of sunlight will allow your seedlings to have shorter, stockier stems. On top of the refrigerator, where the defrosting coils are located. On top of an electric water heater. A wire shelf with an incandescent light fixture placed underneath. A thermostatically controlled electric heat mat placed under the flat. 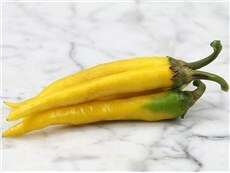 Hot peppers require a germination temperature of 80° – 85° (F). 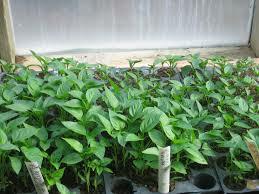 The hotter germination temperature is necessary for tropical pepper types. Some varieties such as Ghost Pepper, Habanero and Trinidad Scorpion (all 3 are Capsicum chinense) require a longer germination time. 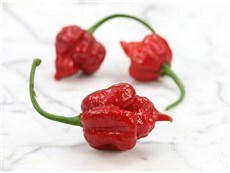 You need patience to grow these types of hot pepper. You may be able to speed up the germination process by soaking the seed overnight. By re-hydrating the seed, the plants may emerge more quickly!! 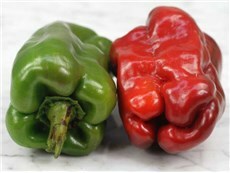 The basic requirements for hot pepper are the same as the sweet pepper mentioned above.